Gyms and other workout areas are often busy with people trying to become the best version of themselves. With so much going on it can be easy to become distracted and lose track of your own goals. Between work, family, friends and sleep there isn’t a whole lot of time left in the day which is why it is critical to make the most of every second you spend in the gym, at the park or on the footpath exercising. We know that efficient exercise will get you one step closer to your IsaLife™, so we’ve come up with some handy tips to help you make the most of your workouts. Having a plan prepared before you step foot into the gym or out the front door is a sure-fire way to minimise any wasted time. As the old saying goes, if you fail to prepare you prepare to fail, so take some time to create a routine and stick to it! That way you’ll spend less time thinking and more time doing. Each session should have a specific focus. If you want to work a particular part of your body or try a new workout style, be sure to do those at the beginning of your session. 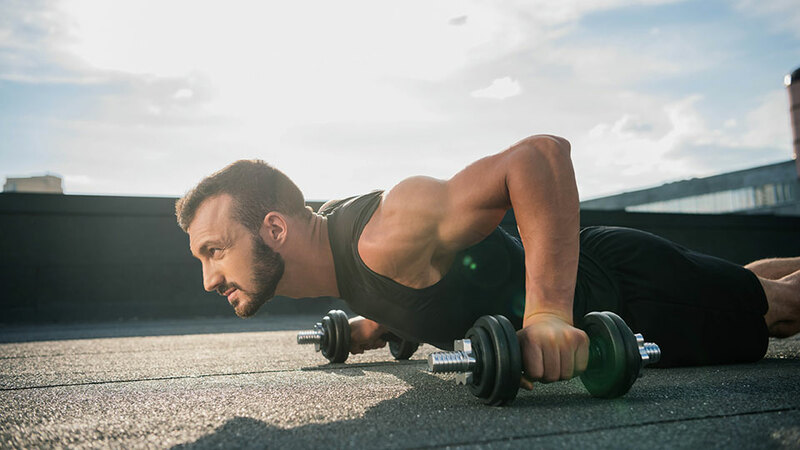 Once you power through those exercises everything that follows should be an accessory to compliment them, that way if you do run out of time at least you were able to complete the bulk of your session. Supersets are probably the most common and effective method for getting through your workout without sacrificing exercises and performance. Not only will you get the benefits of a strength workout, but you could also feel the effects of a cardiovascular workout too! Are you someone who checks their phone in between sets? There’s a good chance you’re having a longer rest than you need and are adding unnecessary time to your workouts. Make sure your rest periods are timed! You can also make your rest time more productive by using it to stretch or have a roll on a foam massage roller. Sure, these tips will help you cut down your workout time. However, a little help from our Informed-Sport certified AMPED™ Nitro will ensure that every lift, squat and curl is performed to the best of your ability. While you may spend less time in the gym, Nitro is sure to give you the added boost you need to maximise every workout! Nitro is formulated with active ingredients such as Nitrosigine® and L-citrulline to help increase blood flow and mental focus. Creatine and betaine support increased muscle mass, power and strength. Beta-alanine, taurine and naturally sourced caffeine support increased energy, alertness and stamina. Don’t waste a single second of your workouts by following these tips and adding AMPED Nitro to your next Autoship order via the Back Office or IsaLife app!